Any of those responses validates that you’re part of our over-saturated American popular culture… one where we hear about the latest trends almost as much as we hear about the Presidential election or the multiple tragedies throughout the world. But your reaction may also reveal more about you and your generational affiliation than you think. There’s already some interesting information out there on how nonprofits ARE and ARE NOT using this mobile app/game to promote their work. There are already multiple PokéStops in greater metropolitan areas–including Tampa Bay. In a matter of weeks, this latest trend has swept the country, so let’s consider what it means for your nonprofit. Below are a few thoughts on how this trend can help you and your board think creatively about NextGen board member recruitment and engagement. Like most conversations regarding generations, these are not maxims but considerations. Keep in mind that every board member – past, present or future – is an individual and should be recruited as such. Why is Pokemon Go so popular? It gets (primarily younger) people active and working together toward a common cause. It’s competitive, challenging, and fun…. And requires intense concentration on a unified goal. What activities is your agency doing to attract NextGen board members? How are you making sure that board meetings and interactions are both useful and impactful to participate in? Are you creating social opportunities that allow a little friendly competition and fun amongst your current board members? There’s an app for that. In fact, Pokémon Go IS the app for that. The creators of the mobile challenge made sure that access to the game was available for iPhone and Droid smartphones alike – right from the beginning. Add that to the countless websites with maps, cheats, and tips now available on the internet and the creators and fans alike have made it both easy to play…and easy to become addicted. When you’re recruiting NextGen prospects, think about how much information you’re providing your potential board members. NextGen folks will expect easy and frequent access to agency documents, information, and leadership… especially as an “insider,” i.e. board member. How can you promote open and frequent communications with all generations of board members? How do you help your board members get ready for meetings? Do you have an online portal where they can easily access information before, during, and after the meetings? Have you asked current and prospective board members their preference on accessing board materials? Know (and Grow) Your Audience & Culture. My favorite farmer’s market became a PokéStop just last week. My mecca for organic veggies and fruits–the place where I go to feel pseudo bohemian and vegetarian in this great Urban Jungle–sold themselves to The Mon. Or did they?? Maybe they just realized that the statistics about next generation folks (exactly the types of folks who are typically interested in Pokémon Go) historically lacking essential vitamins of fruits and vegetables, which provided them the perfect opportunity to inspire Poképarents (it’s a thing, SERIOUSLY) to bring their kids in and maybe shop a bit along the way. And maybe, just maybe, the launch time of this phenomenon–the summertime, when kids historically become more sedentary and parents frantically look to the beginning of the school year–was strategic in nature. What is your board doing to stay up on the latest trends affecting your agency mission and board member participation? How are you engaging entire families in philanthropy at your nonprofit? What kind of ͞”perfect timing” do you need to have successful board member engagement and recruitment strategies? 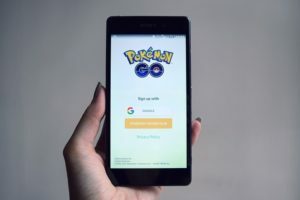 Only the next few weeks, possibly months–probably not years–will tell what kind of lasting impact and impression Pokémon Go will have on our collective history. Only time will tell if this latest phenomenon will link up to another great idea. 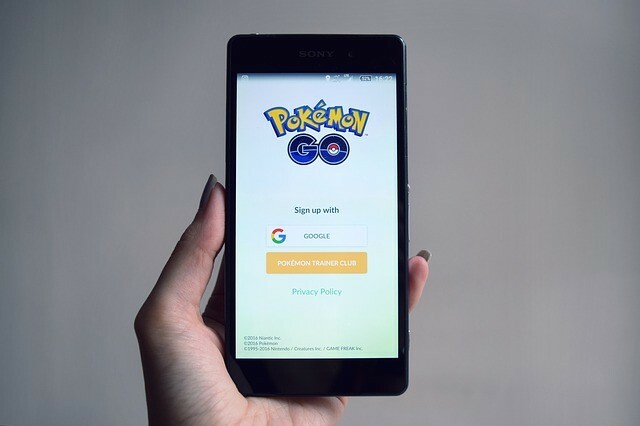 The point for nonprofit leaders is not to create an application or obsession to pander to NextGen members or oversaturate your community with your own version of Poké-insert wordhere. The real application is to think intentionally and strategically about how you can engage NextGen members in your philanthropy, in board service, and—ultimately–in your mission work. This article originally was posted in the Nonprofit Leadership Center of Tampa Bay in August, 2016.